As part of my "ridiculous amounts of things to put out on the web in the month of August" ongoing project, I thought I would write on the Garden Blog here about some of my favorite easy plants to grow in your garden. Living in Texas, I have found lots of plants just die and drown in the heat, and some work very well but not at the times they might thrive in other parts of the country. Still, there are some plants that are very easy to plant and work with, and can greatly help your landscape. 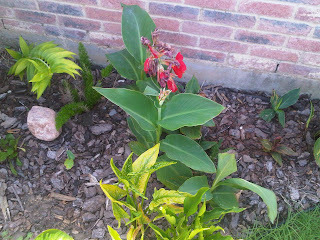 One of these are the common canna flowers. Every year I forget that these wait to bloom until July and August, and carry through with beautiful reds into the late summer. The large foliage also gives a nice tropical flair to your yard. I have a small spot on the side of the house that we call "the grotto" where I keep my tropical plants, and cannas are a large part of that. I have found that year over year, it is helpful to keep augmenting the canna bulbs with more and more. Last year's bulbs will come back, but perhaps later and not as vigorously as new bulbs. The ones pictured here are "The President" - large red flowers that last a week or two and then slowly die off (like these are doing). 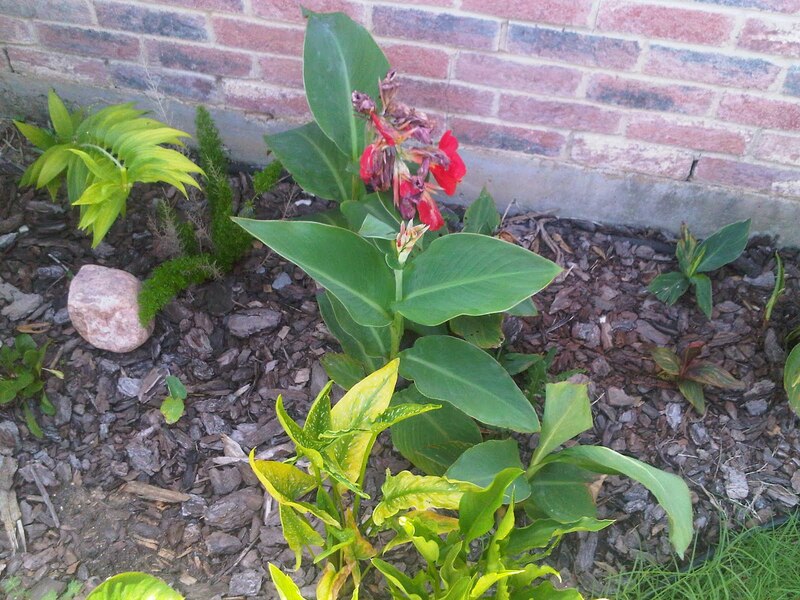 Cannas are easy to plant, just get some bulbs (either at your local home improvement store or from a grower such as Horn Canna Farms) in the spring, then dig a hole about 4 inches deep or so, drop the bulb in facing upward, and cover with dirt. Then water it in and leave it alone. Horn's has a ton of varieties selling for about 3 for $4.20 or so, which makes it very affordable to pick up several varieties. So next Spring, grab some canna bulbs and by next summer, you'll be looking at flowers just like these.